Atlas Performing Arts Center Sat. Aug. 6. One might say it has been a long and winding and yes, artistically successful road for Jeff Denson since he left our environs to learn his craft, travel widely and become a multi-genre performer. His homecoming, CD release concert at the Atlas Performing Arts Center Saturday Aug. 6 promises a fun time for all, those who knew him when, or those just discovering him. 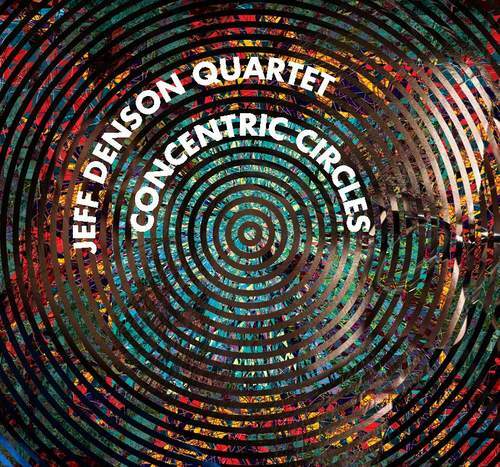 Double bassist and vocalist Denson, an Arlington, Va., native, performs in celebration of his recent recording “Concentric Circles” at the Atlas with bassoonist Paul Hanson, percussionist Eric Kennedy and vibraphonist Warren Wolf . Friday and Saturday Aug. 5-6. Elsewhere this weekend, classy pianist and vocalist Freddy Cole continues his stay at Blues Alley tonight, Friday Aug.5, through Sunday. 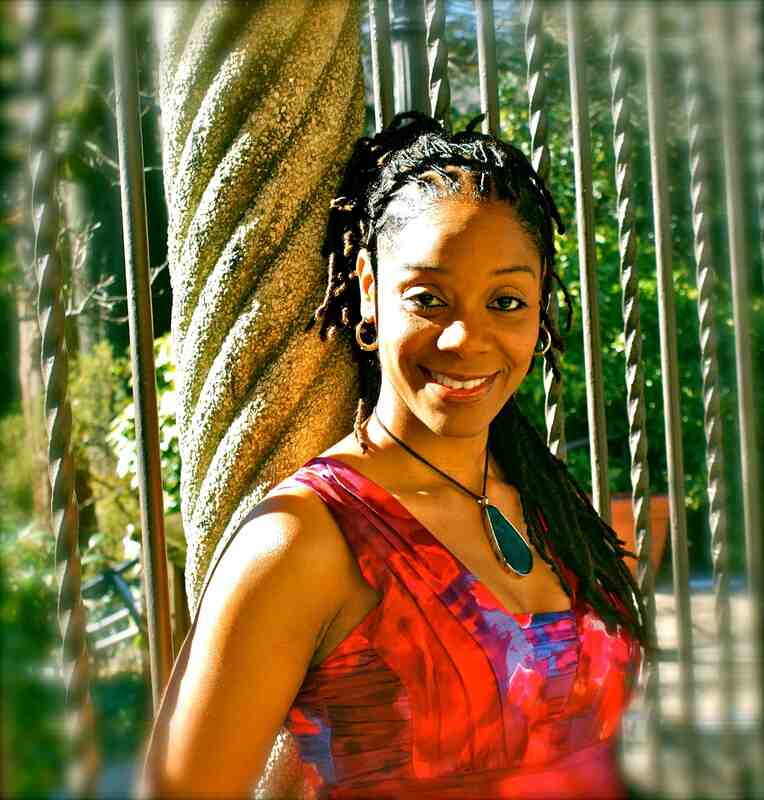 Lavenia Nesmith & Friends appear at 6 p.m. tonight at Westminster Presbyterian Church, with Nesmith, vocals, Paul Carr, sax, Wayne Wilentz, piano, James King, bass and Lenny Robinson, drums. Vocalist Irene Jalenti performs at Twins Jazz tonight and tomorrow night, and Brad Linde’s Team Players band is at Twins Jazz Sunday Aug. 7. Alto Madness comes to Baltimore Aug. 15 with Richie Cole on alto saxophone, our own Larry Willis, piano, Blake Meister, bass and Billy Williams, drums, at An Die Musik (www.andiemusik.com). Vocalese maestro and Washington DC Jazz Network guru George V. Johnson plays Blues Alley Aug. 16. The inimitable Cyrus Chestnut, Baltimore’s own, settles into Blues Alley for a four-night stay Aug. 18-21. The John Lamkin “Favorites” Quintet is at Takoma Station in D.C. Aug. 19 and at Phaze 10, 855 N. Howard Street in Baltimore Aug. 28. 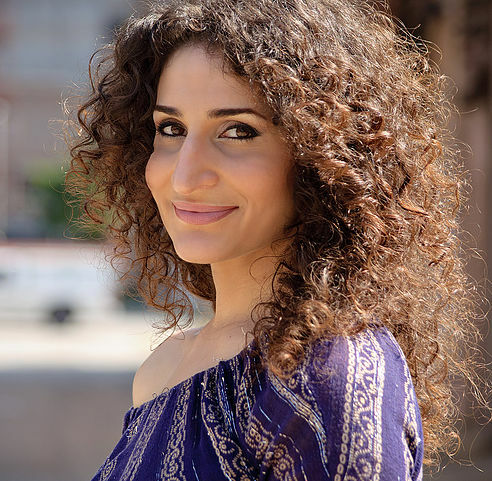 Jessica Boykin-Settles Sings Sarah at Westminster Aug. 26. The Petworth Jazz Project rolls on this summer at Petworth Recreation Center in D.C. Aug. 27, spotlighting emerging vocalist Cecily Bumbray at the neighborhood park where the very young, young and older folks as well can relax, chit chat, stroll, partake and enjoy fine music and the evening air. 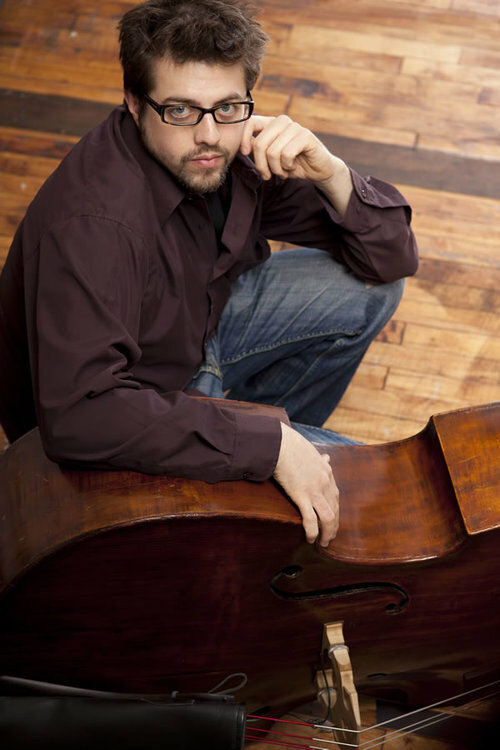 And The Jazz and Cultural Society in Northeast D.C. this month has shows including The Christie Dashiell Quartet Aug. 10; Afro-Cuban Jazz Aug. 11; Bruce Swaim Aug. 17; Fred Foss Aug. 21 and Karen Lovejoy Aug. 24. See http://www.jazzandculturalsociety.com for the complete calendar and more information. Paul Carr, Sin Miedo and The Moonshine Society are coming soon to provide August jazz in the picturesque National Gallery of Art Sculpture Garden. Carr is the always vibrant and entertaining tenor saxophonist, whose latest albums include the romantic pairing of Carr’s golden sax tones and vocalist Sharon Clark’s unique way of phrasing a song on “Carr and Clark,” released earlier this year during Carr’s Mid-Atlantic Jazz Festival, and the non-stop jams on his “B3 Sessions” release from last year. Seewww.paulcarrjazz.com. As venues go, the garden shows are fresh air, outdoors musical treats of fun, for tourists and residents alike, and Carr’s show promises to be another must-go event for summer jazz lovers. Also coming up at the garden are Sin Miedo Aug. 19 and The Moonshine Society Aug. 26. Sin Miedo is led by French pianist Didier Prossaird, Sin Miedo has been performing in the DC-Baltimore area for the past 10 years, collaborating with salsa greats Tito Allen and Frankie Vasquez, touring the US and abroad with the Washington Ballet, performing in music halls at Gala Theater and providing Salsa music for the hottest dance nights in the Capital. The repertoire of the band includes original music with Spanish and French lyrics and the Salsa classics of the 70’s to today’s latest hits as well as Latin jazz. The Moonshine Society, is the “young acclaimed band redefining the blues genre for a new generation,” with band members including Joe Poppen (guitar), Black Betty (vocals), Christopher Brown (bass) and Barry Hart (drums). 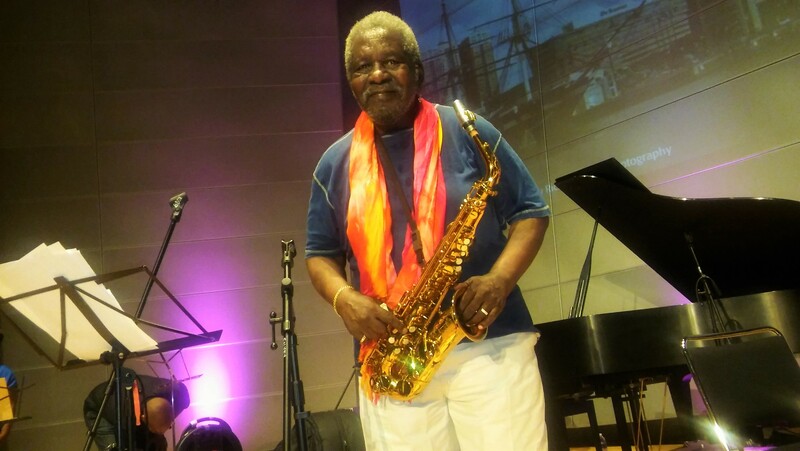 For live shows or on recordings, guest artists can include those like local jazz legend Ron Holloway on sax. Seewww.moonshinesociety.com. And see http://www.705network.com for much more! performance at Artscape in Baltimore last month. 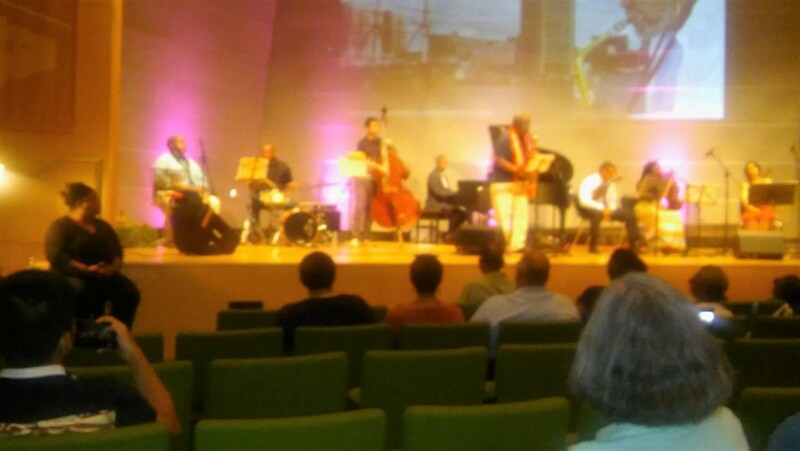 Speaking of art and nature and music few events match the annual Artscape in Baltimore festival, three days this past month, that on the closing evening featured award-winning saxophonist and educator Carl Grubbs’ Jazz/String Ensemble. Highlights included the heartfelt, soaring lines on sax by Grubbs on the “Barbara Dear,” in honor of his wife—and marketing manager and publicist, grant writer and everything else!—and “Water,” a moving treatise of its own by the singing string section. in performance at Artscape in Baltimore. The CD was recorded during a May 2015 performance of the ensemble at the Ward Center for the Arts, at The St. Paul’s Schools in Brooklandville, Md., where Grubbs has been the director of jazz studies for several years. Grubbs’ Latin flavored jam “Bossa” with the strings singing their own lilting melody and Grubbs’ edgy, searing sax, leads off a varied, flowing river of his original compositions. “Like Trane” pops and rolls with the strings again adding a unique color to formerly traditional bop tunes, lifting the mood while also contrasting with the fiery rawness of Grubbs’ sound and accenting the twists and turns of the piece. Other highlights include “Special Moments,” another jam featuring Grubbs’ twists, full stops and varied rhythmic flavors, with Byrd’s piano colors and Lamkin and Kennedy powering on percussion. “Saturn” is a Grubbs’ alto sax tour de force with his free, squawking, high-flying lines, and with an orchestral sweeping majesty to it thanks to the strings, added to Grubbs’ previous recordings of the piece. And “Harbor Place” is a fitting, melancholy stroll led by Grubbs’ sax, the strings and Charlie Himel’s vibrant bass, recalling when it all began, with Grubb’s acclaimed “Inner Harbor Suite” recording some 22 years ago. See http://www.contemporaryartsinc.org for more on Grubbs and his new CD. As a member of “The Few, The Proud, The Marines,” Jordan Dixon has already fashioned a shiny resume. 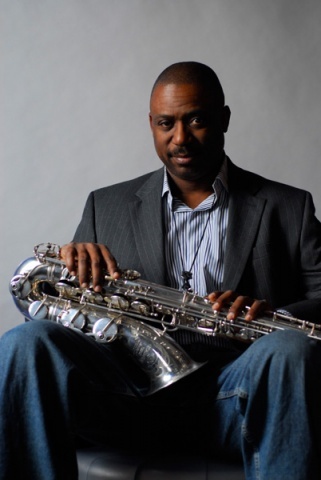 With his debut CD “A Conversation Among Friends,” the tenor saxophonist has now proudly served notice he is a musician and composer deserving wider recognition locally and beyond. A native of Baton Rouge, he started playing music seriously at the age of 12, and served in the military as a Marine Musician. A few years ago, after his discharge, Dixon moved to the D.C. area to play and study music and has been one of the leading players, with a power and explosiveness on his axe that not many can match, in Allyn Johnson’s University of the District of Columbia jazz ensembles. Johnson, UDC’s director of jazz studies and an eminent pianist in his own right, is the pianist on “A Conversation Among Friends,” along with Dixon bandmates Steve Novosel, bass, Nasar Abadey, drums and J.S. Williams, trumpet. 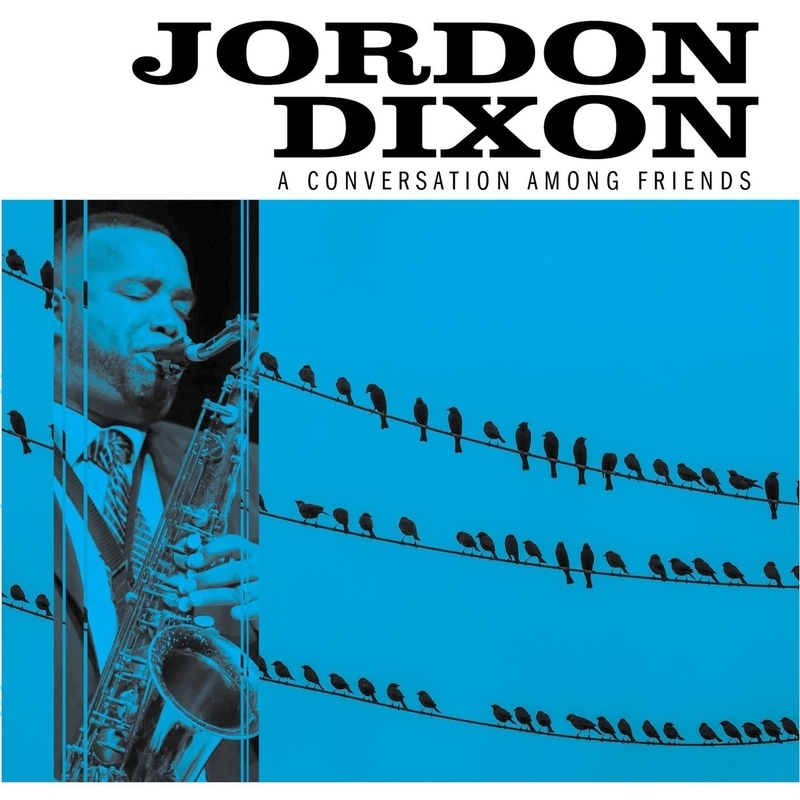 Dixon’s bold, raw, bluesy tenor sax riffs provide the centerpiece, along with his fine compositional skills, for his CD, with highlights including “Wayward Warrior,” and intriguing lilting jam spurred by Johnson’s rippling runs and Abadey’s splashing drum work. “Hospital Honors” rocks and rolls in the best of the bop tradition, Dixon’s spearing sax lines intense, but also witty and thoughtful. “What You’ve Done for Me (A Ballad for Mr. Gulley)” is too, in the best of the sax man’s ballad tradition, Dixon tender and wistful on his tenor sax. A notable recording debut for Dixon, you can check out more about “A Conversation Among Friends” and Dixon on http://www.cdbaby.com. Baltimore Jazz Fest coming in October! For jazz fans everywhere, and in particular those who have been following the discussions in Baltimore about the lack, in that great city with its great jazz heritage, of a jazz festival when many other cities and locales have them, the Baltimore Jazz Alliance has announced the long wait is over. Coming October 1 from 12 noon to 8:30 p.m. is Baltimore Jazz Fest 2016, “a free, family-friendly, full day of Baltimore jazz, held in beautiful Druid Hill Park in the heart of Baltimore City. Produced in partnership with Baltimore City Department of Recreation and Parks,” according to BJA information. Featured performs include the Hot Club of Baltimore, the Clarence Ward III All-Stars, Rumba Club, the Dunbar Jazz Ensemble, the Greg Hazta ORGANization, Art Sherrod Jr. and the Baltimore Legends, a group including Bob Butta, John Lamkin Sr. and Carlos Johnson among others. See http://www.baltimorejazz.com for complete information.